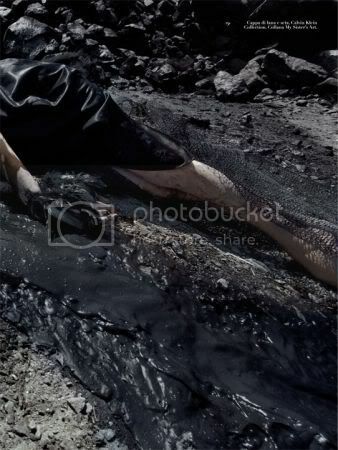 Steven Meisel and Vogue Italia have come up with a gorgeous, heart-rending editorial based on the Gulf Oil Spill. Now all you fashion savvy wunderkinds can defend your countrymen (and women!) to those fashion-is-vacuous-blah-blah-frivolity-blah hags (who seem to have quadrupled after Chanel’s little upcharge, to which i say:money can’t buy you class). 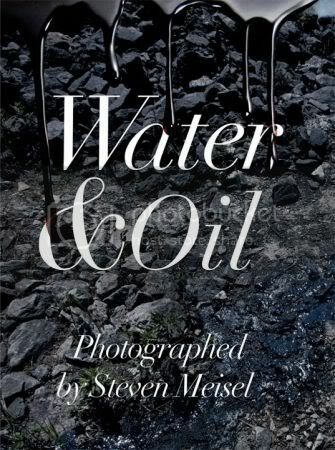 Picture to look for: the close up of McMenamy’s oil-slicked wrist. 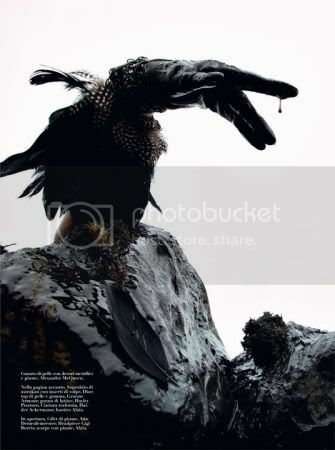 The image of her glove’s tufted feathers stark against the sea of tar will haunt you. forever. 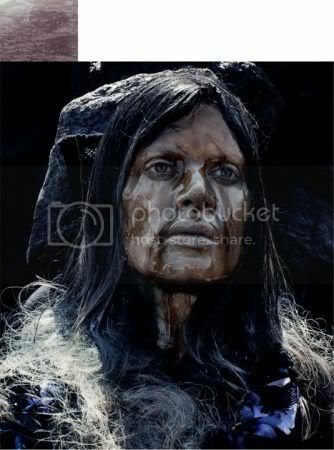 i’m talking beautifully horrifying nightmares.